“We can’t just say it’s unfair that foreign owners and foreign coaches aren’t selecting English players at club level, it’s our responsibility to produce better English players” – Gareth Southgate, England under-21 Head Coach. The 4th of December 2014 saw the unveiling of what the FA hope will create winning England teams, an evolving philosophy known as the England DNA. 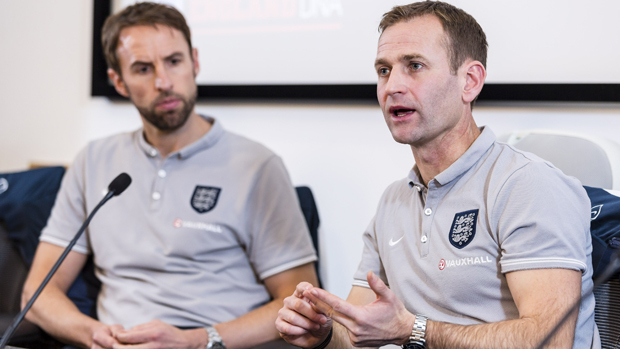 Aimed at England teams both male and female, from under-15 level up to under-21s and under-23s, a “world-class approach” to the development of Elite Players, the DNA was launched to 1500 FA Licenced Coaches at their annual conference at St George’s Park the following weekend. With subsequent evolution which will see a version adapted for the grass roots game, The FA see the England DNA as a plan for all those involved with elite players to follow, a definition of England’s football identity, values and standards of behaviour, and consists of five core elements. The first of these elements, known as “Who we are”, is an understanding of England’s past footballing heritage, pride in wearing the England shirt, striving for integrity and excellence, and a wish to retain the strengths of the English game (pace, strength etc…) without being defined by them. This leads into “How we play “, the second element, which is about a redefined playing philosophy of trying to dominate possession, regaining possession intelligently, reacting instinctively to transitions and be tactically flexible. Gone will be the days of 4-4-2 and hitting the channels or the big man at the earliest opportunity. This links nicely into the third element, which defines the core attributes and characteristics of “The future England player”, and is made up of eight position specific profiles, from the goalkeeper through to the centre forward. Each profile is made up using the familiar FA Four Corners development model; Technical & Tactical, Physical, Psychological and Social. The fourth element and perhaps the one of most interest here is “How we coach” and includes the “England DNA Coaching Fundamentals” – these range from increased use of game related practices, ensuring players are exposed to situations which require them to make decisions, spend an increased amount of time planning and reviewing sessions, and ensuring the use of a ball in more than 70% of a session. Each session will follow the FA’s learning cycle of Plan-Review-Do, ensuring coaches and players alike are aware before, during and after as to what is required of them. The final element is “How we support the process” which covers enhancement of all the elements with medical, scientific, analytical and psychological disciplines, and follows the investment made by the FA in their impressive, state of the art facility at St George’s Park and ensuring they are at the forefront of new thinking within the game. Undoubtedly on paper, the plan seems to have everything covered – a structured environment, a technically and tactically aware group of elite players, an improved coaching methodology, and a full support system. 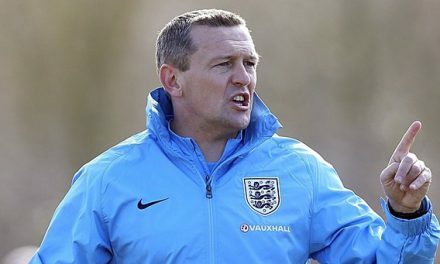 However even one of the creators of the England DNA philosophy, the FA’s Director of Elite Development, Dan Ashworth, has admitted that 90 percent of player development in England is done by the clubs, with the FA only able to add the final 10 percent adapting them for International Football. 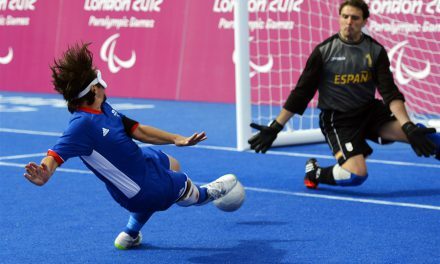 While ensuring that the elite players have everything they need to perform at the highest level and in international tournaments worldwide, the question remains as to whether England are producing enough players of a truly elite standard to compete with the best in the world. And therefore the 90 percent that Ashworth mentions, probably also includes a chunk of development before the player even reaches a club. It is difficult not to draw comparisons to other countries, and undoubtedly, the England DNA has been inspired by examples of improvement over a period of time for international teams such as Germany and Spain, and even on a smaller scale from the likes of Belgium. Part of the problem with implementing the new philosophy successfully will be the buy in of the elite clubs and undoubtedly the organisation that appears to hold all of the aces in the modern game, the Premier League. While the FA have consulted with the Premier League as well as the Football League in the process, the increasing demand for instant success at club level, backed by huge financial reward means that many appear to be not particularly interested in the long term development of the international team. 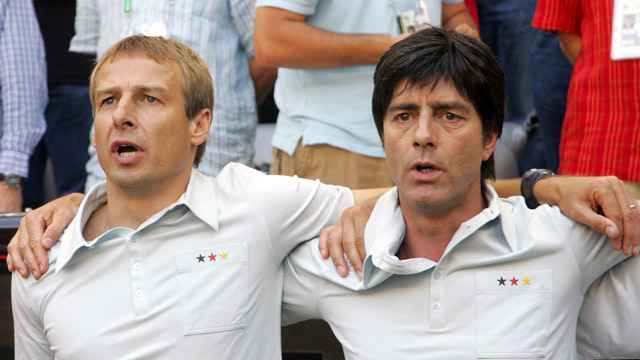 When Jurgen Klinsmann produced the aggressive blueprint for Germany’s revival from dismal European Championship performances in 2000 and 2004, producing an attacking style of football from an increasingly youthful team, he was supported by both the German FA and the Bundesliga, with mandates for each club to produce a stream of local talent to bolster not only the teams themselves but also the international side. The culmination of an increasingly impressive side was the successful World Cup 2014 performance in Brazil, and it is hard to see the success halting any time soon. 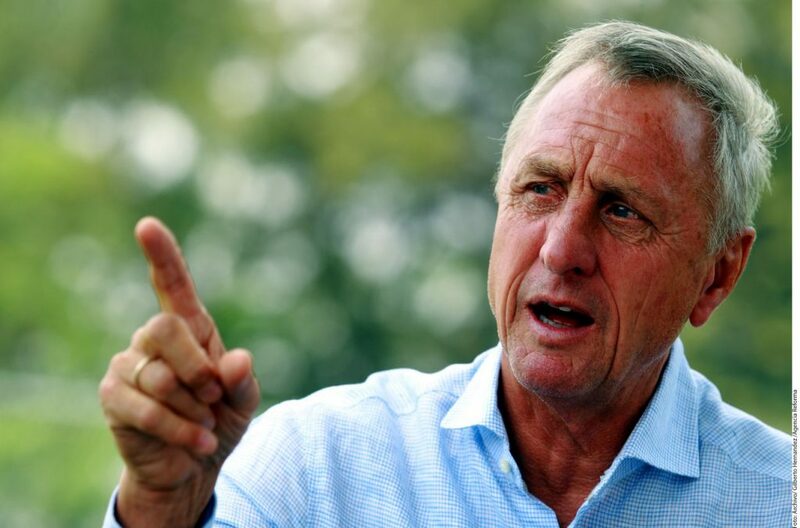 Prior to the German resurgence, the rise of Spain from international underachievers to World Cup and European Championship winners was undoubtedly driven by someone who wasn’t even Spanish, the Dutchman Johan Cruyff. His influence at Barcelona as first a player, then as manager, saw the introduction of their famed youth academy, La Masia – based on Cruyff’s vision and experience with Ajax, and also their footballing philosophy, known as “tika-taka”. Some 20 years later, the undoubted influence on the national team saw unprecedented success with a team playing in the same style and with a large number of players produced by La Masia. So we have in the example of Spain, the vision of one club, albeit a very big one, providing a large influence in the development of the national team. In Germany’s case, an agreement across the clubs created the development of locally produced talent which bolstered the elite player pool for the national side, and in addition, these players had won international tournaments together as a group. This example has undoubtedly been examined in the development of the England DNA. What is missing is the pool of talent coming from the leading clubs – something that the football authorities are attempting to fix with the Elite Players Performance Plan. There are currently over 20 clubs with academies in the system graded as Category One. Of the clubs on the list, Manchester City have reportedly invested £200 million in their state of the art academy, and despite being one of the big spenders in the transfer market, the club’s hierarchy have always claimed to be interested in developing their own talent. Chelsea also have an impressive academy set up, and keep a large pool of under 21 players on their books which are then loaned out to clubs not only in the UK but across Europe. The number of English players who have made it into both club’s regular first team squads however remains small. Of the other clubs on the list, the highly praised academy at Southampton has perhaps been one example of producing good quality English players, some of which have moved on to bigger clubs, but either way have benefitted the international team. The problem remains however, that the leading academies can recruit their young players from further afield, so unless the more local talent are technically stronger, it will make little difference to the numbers of English players coming through the system, no matter how much money is invested. And the examples show that the leading clubs, also under some pressure from the Financial Fair Play ruling, are happy to plough significant funds into young player development, and with the new system, will be able to develop players from a much younger age. But they will only develop English players if they are good enough. This brings us back to the grass roots game where the future England players will begin their journey, and it is here where the FA, along with the other powers in the English game need to do more. We have already seen that the FA intend to develop a version of the England DNA at grass roots level, but have yet to confirm when this will be. Getting coaches at the grass roots level to embrace the DNA coaching fundamentals is crucial. 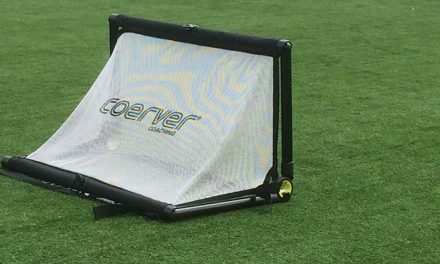 Many coaches at grass roots level in England have only a Level One badge, which covers little in terms of actual coaching – these coaches can put sessions on, but can they teach the young players how to play? It is already well reported that other countries have a far greater number of UEFA qualified coaches (in England that means Level 3 and above), an example being Spain who have more than seven times the number in England. Johan Cruyff has previously described the English problem as there being “too many coaches and not enough teachers” – in other words, are our young players actually learning how to play the game, or are we, as another long standing critic of the development of English players, former Crystal Palace and Arsenal coach John Cartwright suggests, just producing robots who are unable to think for themselves? Chelsea manager Jose Mourinho, well respected in the game for his coaching methods, has described coaches of young English players as teaching players how to win, rather than teaching them how to play. Another issue at the grass roots level is facilities. Gone are the days when young players would learn the game in a kickaround in the street with their friends. Now there is a need for good quality facilities, and even while praising the ideas in the new England DNA, coaches from the highest level are expressing caution. Former England Manager Glenn Hoddle emphasised the need to coach players properly from a young age, and to give them the best facilities on which to learn the game. Similarly, former Manchester United coach Rene Meulensteen has emphasised the need for improved facilities to encourage a culture of quick movement of the ball with one and two touches. The FA have already outlined their commitment to investing in 3G and 4G pitches, but the question remains as to whether the investment will reach far enough down the food chain – players develop at different speeds and there is a need for players outside the academy system to be able to develop as well. Meulensteen has also warned that only using artificial surfaces will develop a breed of player unable to play properly on grass. The FA has been heavily criticised in the past for not developing an identity for the English game and relying on old school ideas and outdated methods. The England DNA has generally been received fairly positively in the game since its launch, but with caution that more is required. The approach so far, not only with the England DNA, but also with the likes of the EPPP, has really been to examine the elite level, a kind of top down solution. Perhaps as discussed, the requirement is now to start looking at the other end of the scale and work on why we are not producing enough players who develop into elite players, or at least not in the same quantity as other countries. Until the new England DNA is extended to all levels of the game, I fear the gap between the English game and our international competitors will continue.